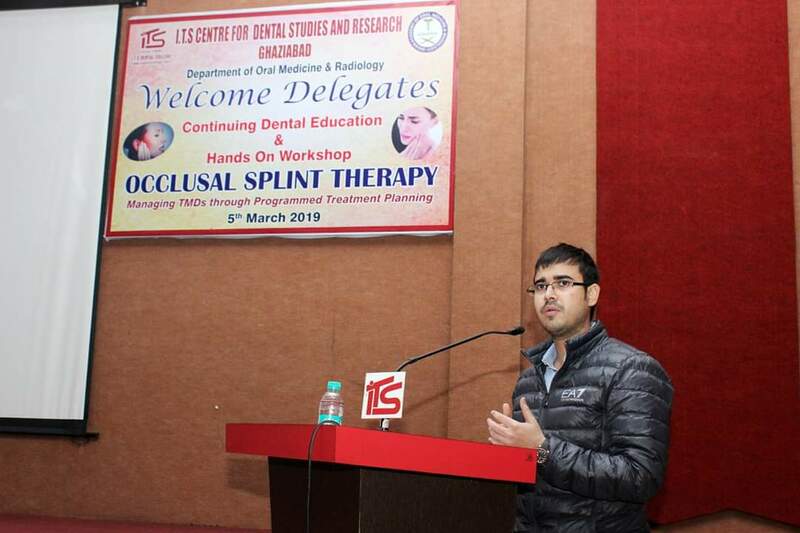 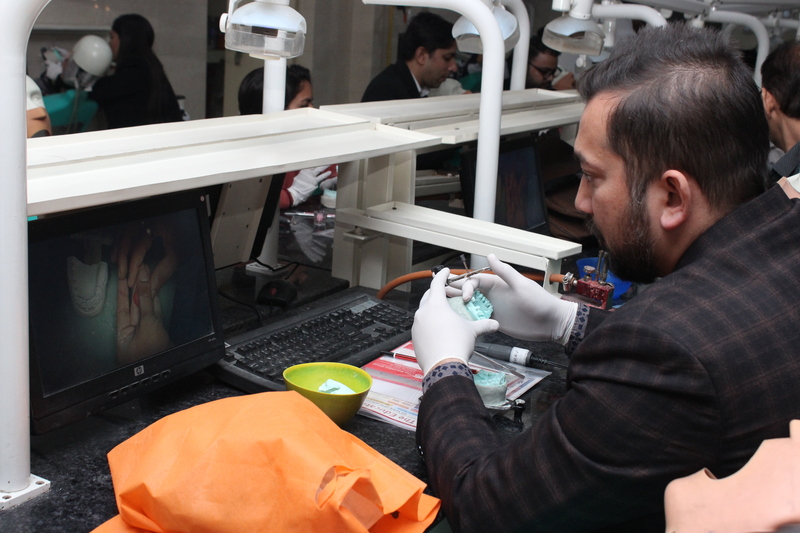 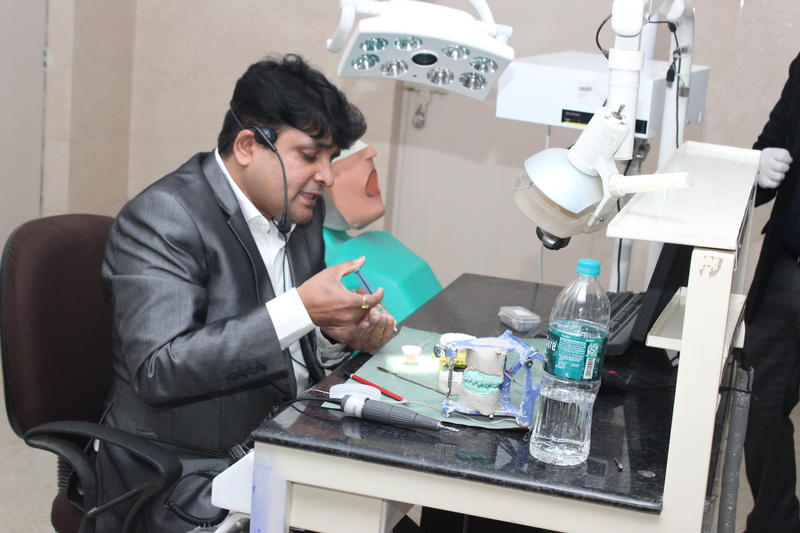 Continuing Dental Education & Hands on Workshop was organized by the Department of Oral Medicine & Radiology, I.T.S Dental College, Ghaziabad on 5th March 2019 on "Occlusal Splint Therapy". 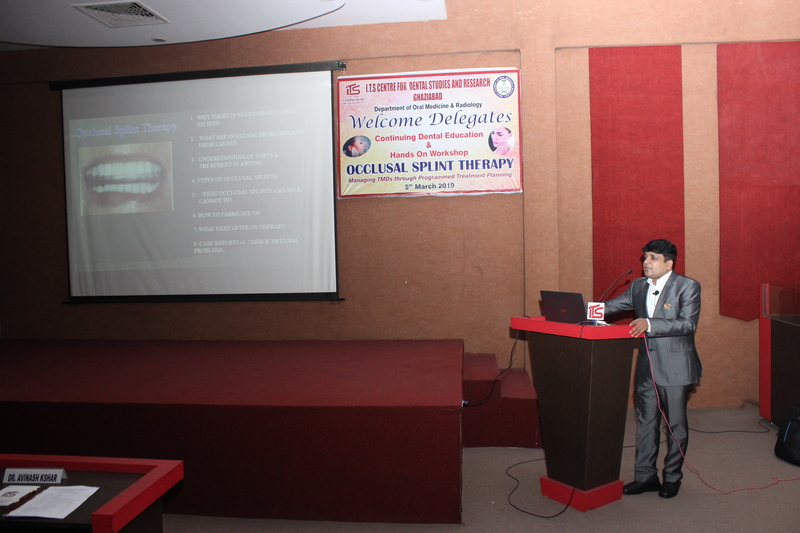 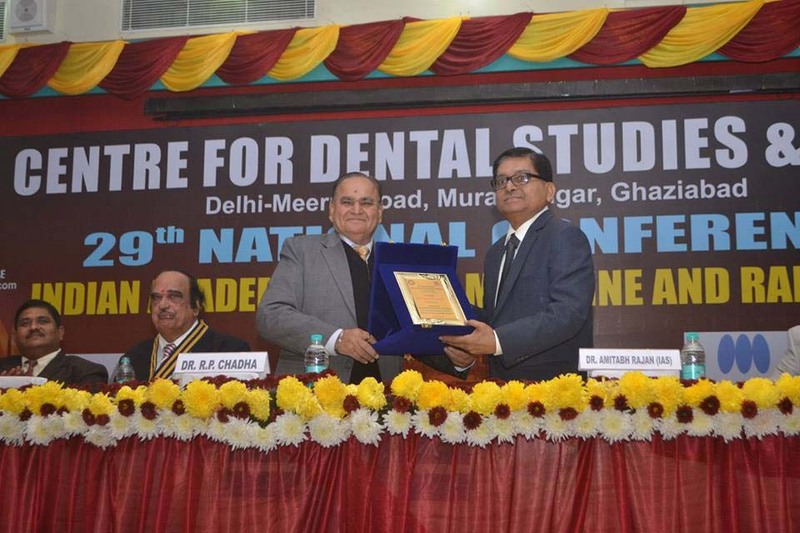 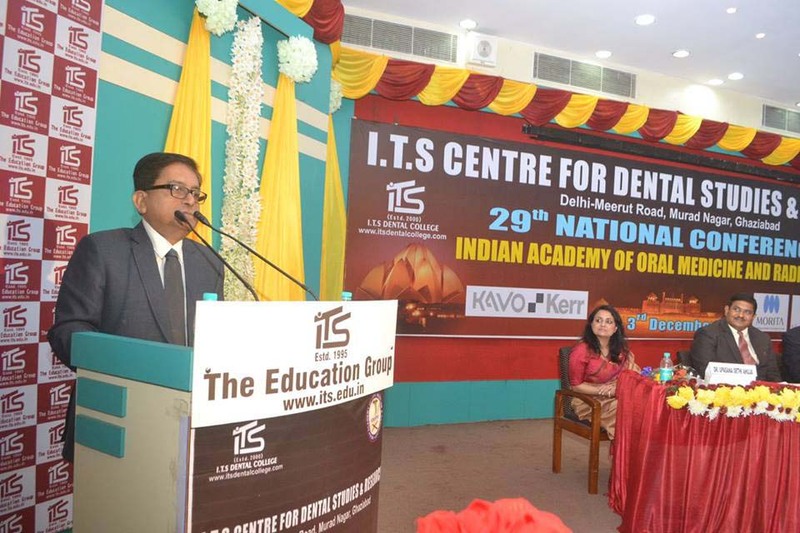 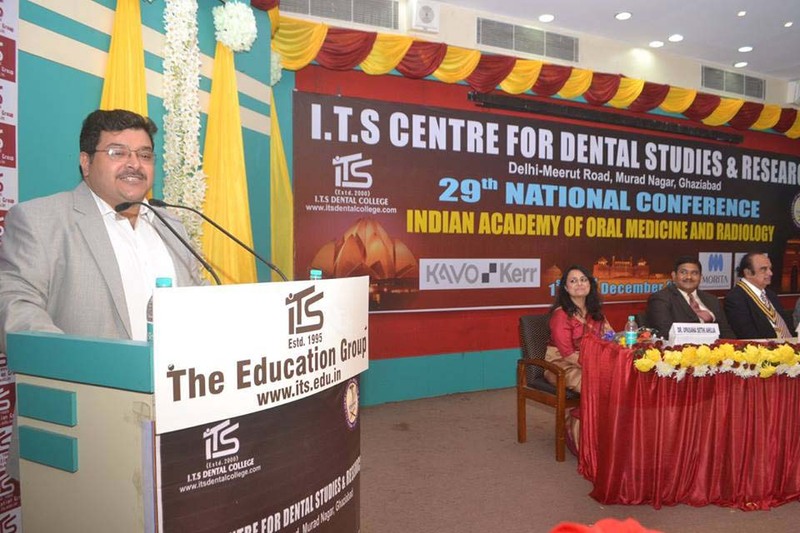 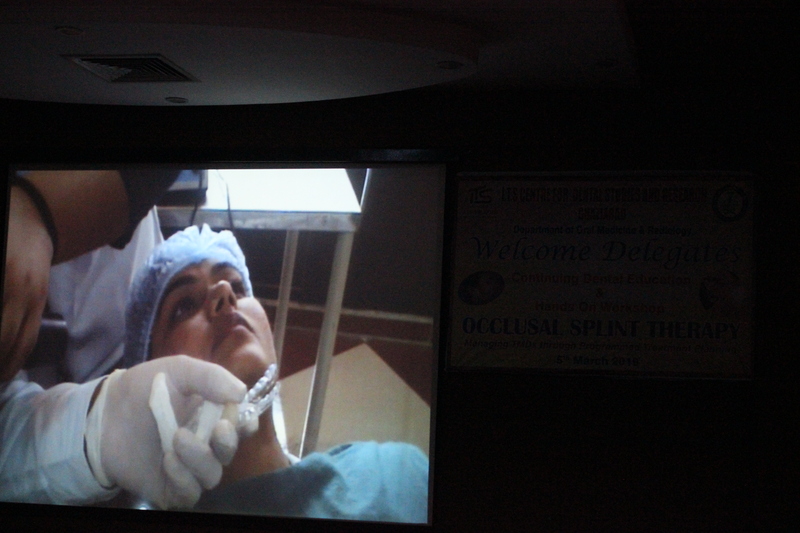 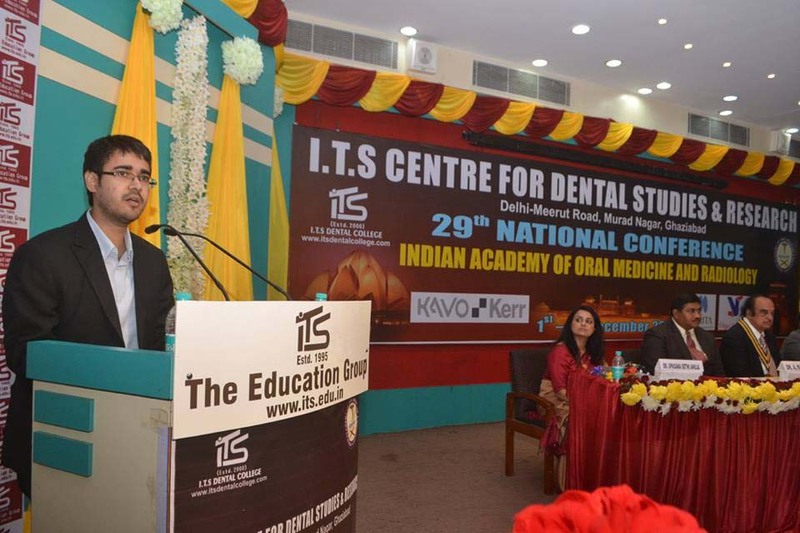 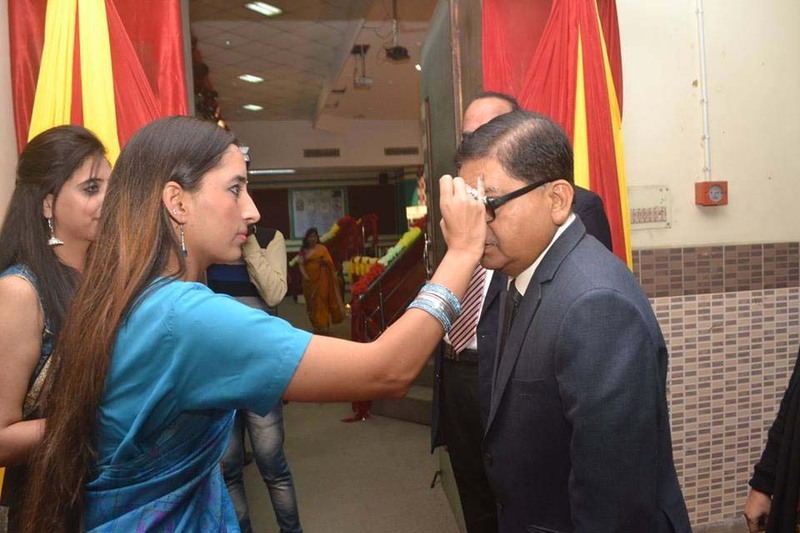 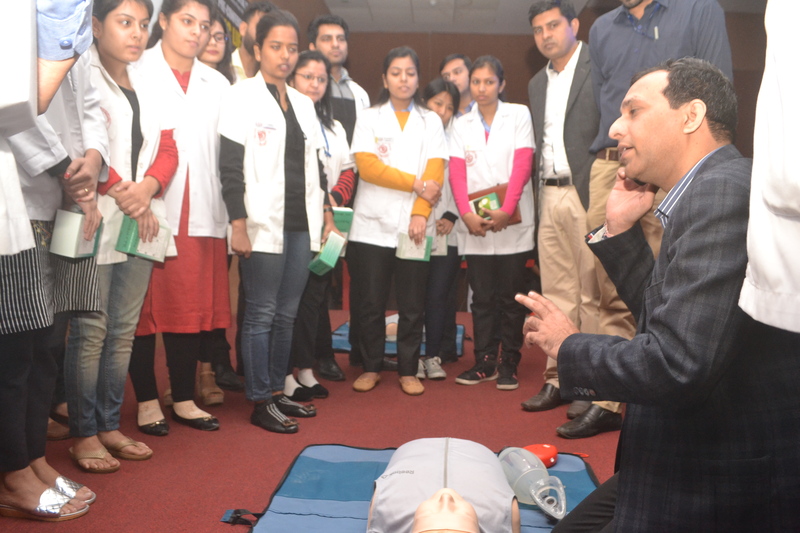 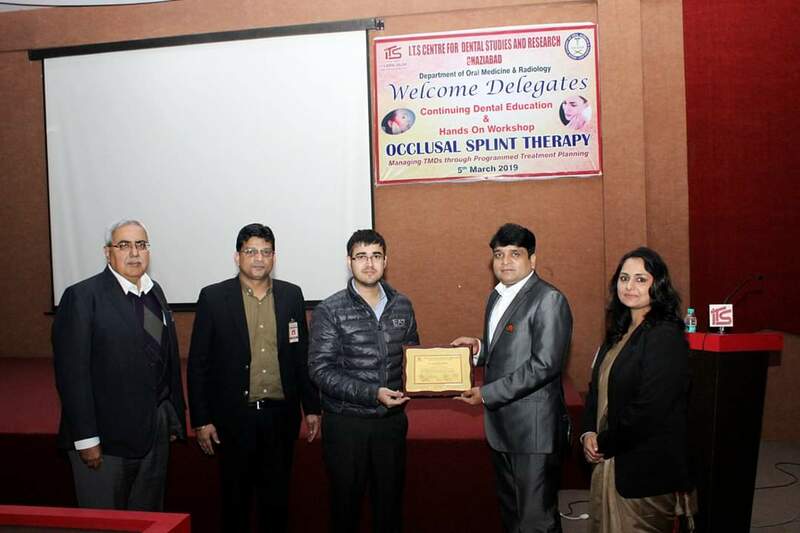 Over 100 delegates from all over North India including private practitioners, students & faculty actively participated in the program.The program was conducted by renowned national speaker Dr Avinash Kshar, who gave first hand insight to managing temporomandibular disorders efficiently in clinical practice. 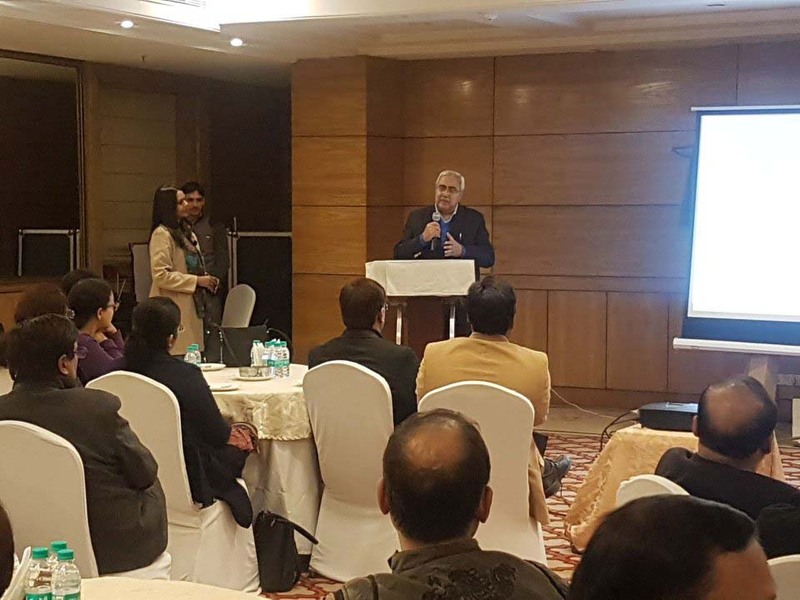 The event was graced by our respected Vice Chairman, Mr Arpit Chadha who provided unconditional support for smooth execution of the program. 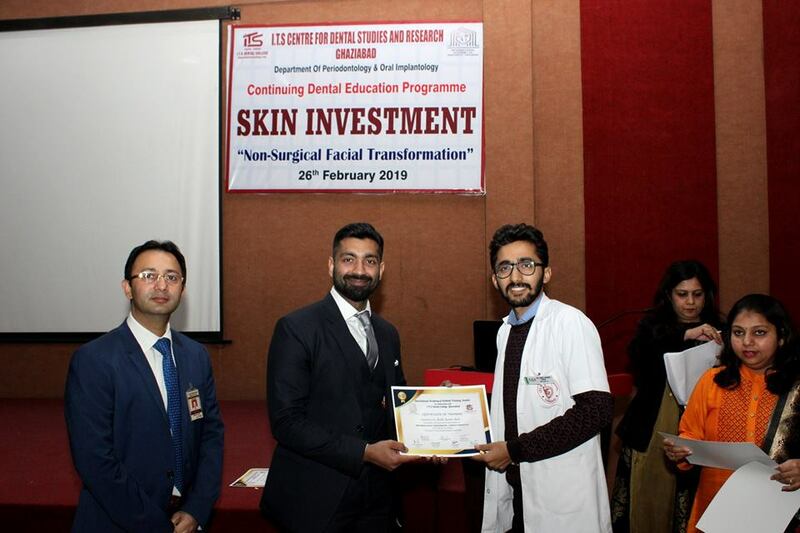 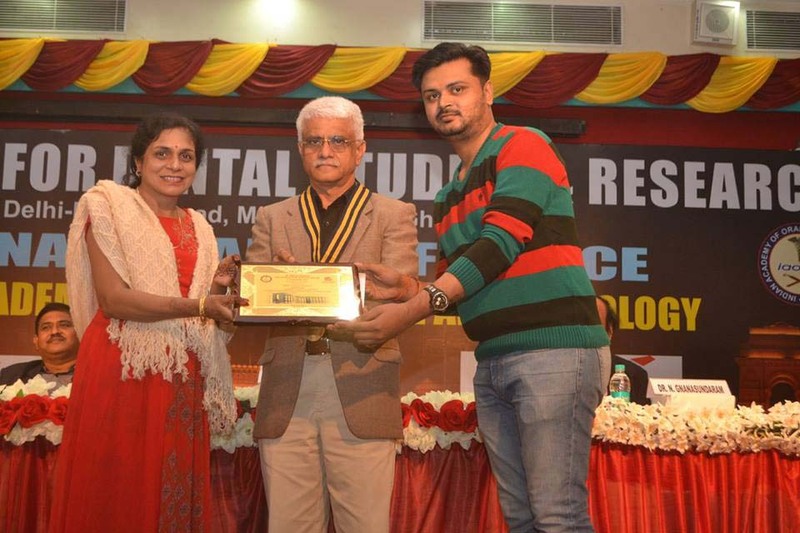 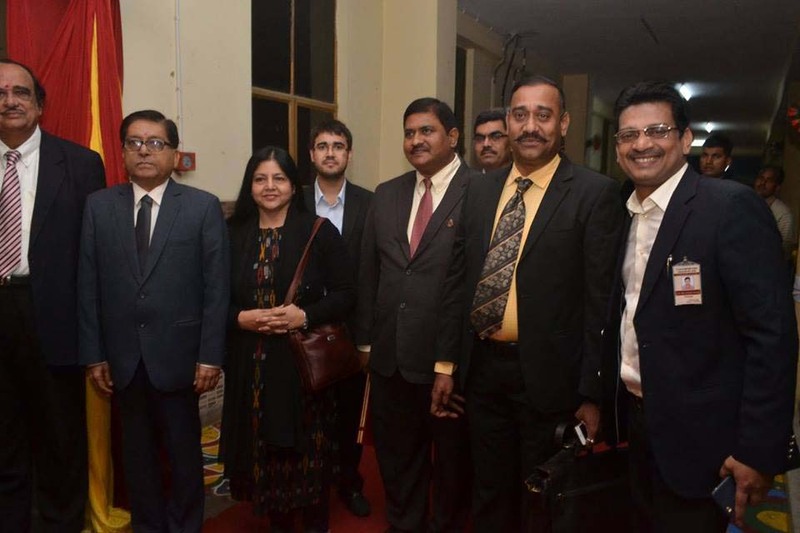 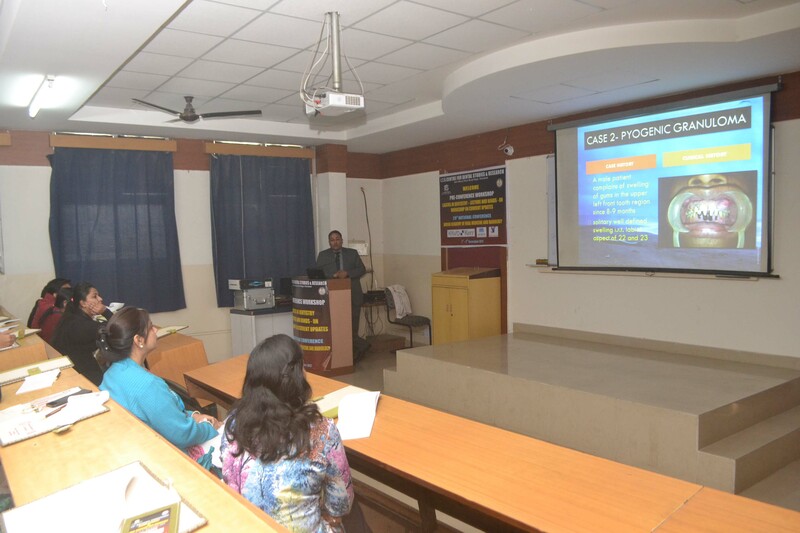 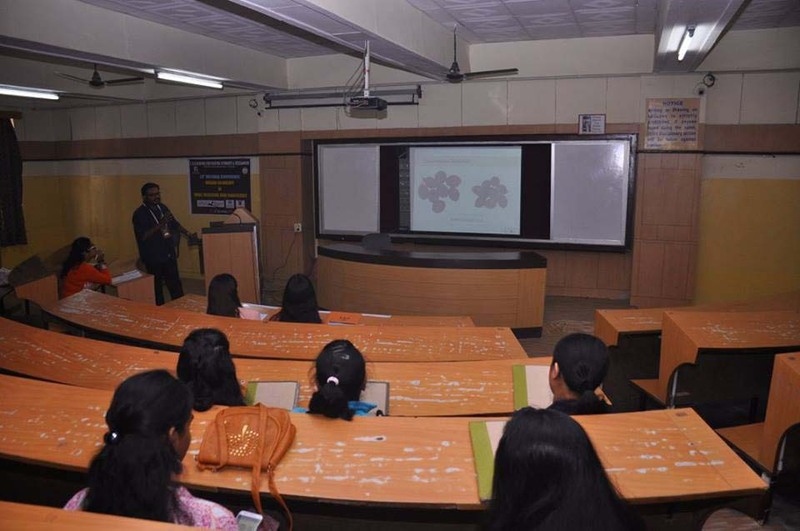 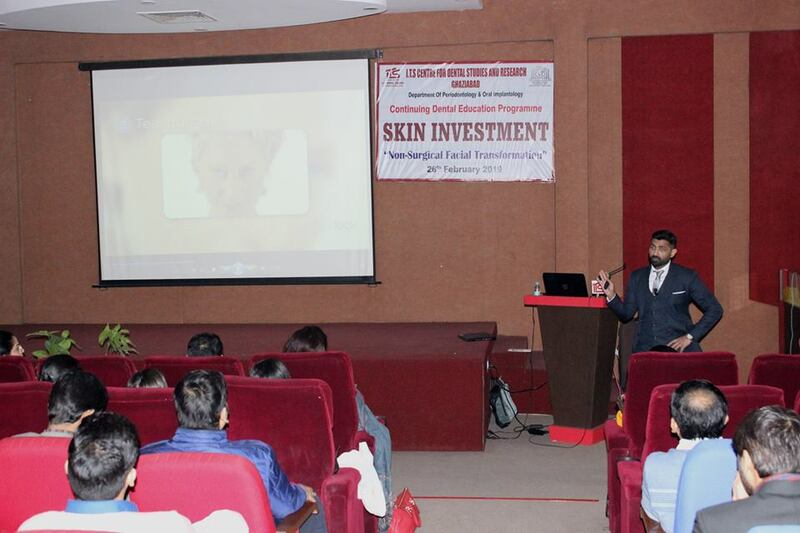 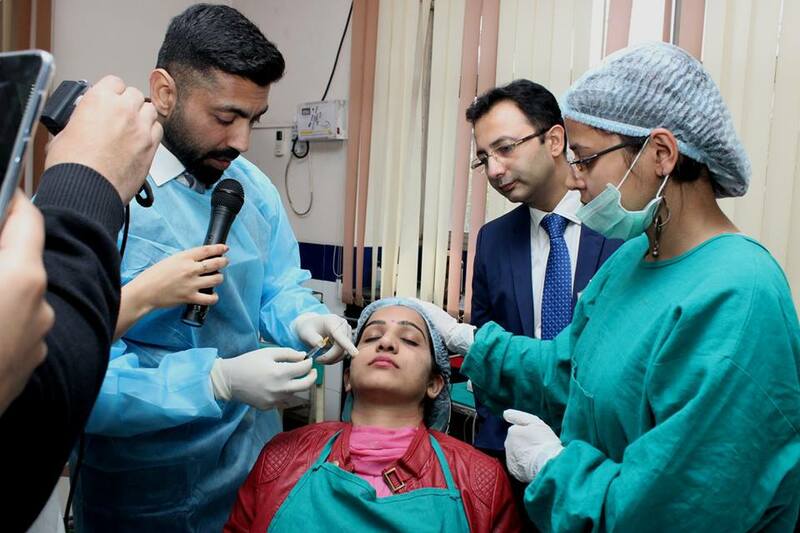 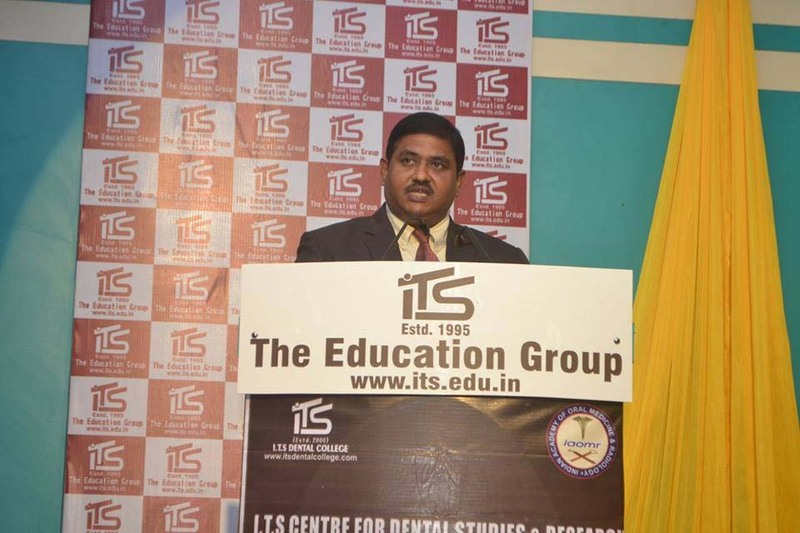 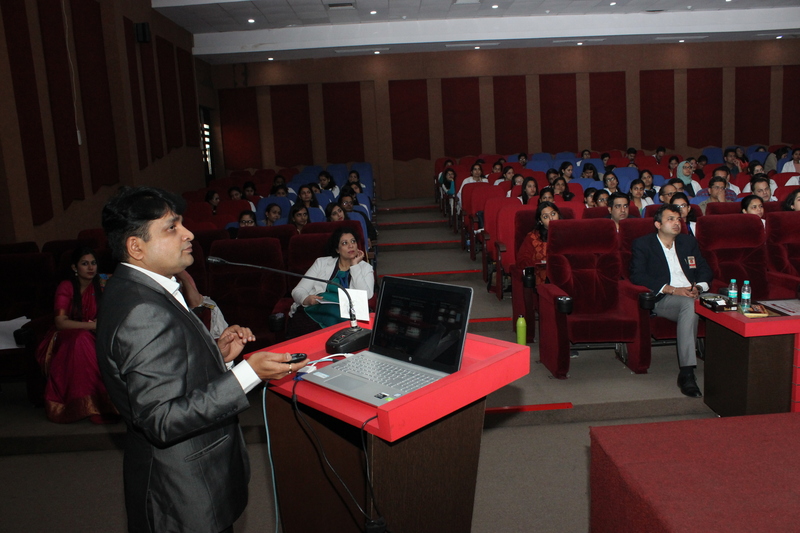 Department of Periodontology and Oral Implantology, I.T.S Dental College, Ghaziabad organized a Continuing Dental Education program on the topic “Skin Investment- Non Surgical Facial Transformation” on 26th February 2019. 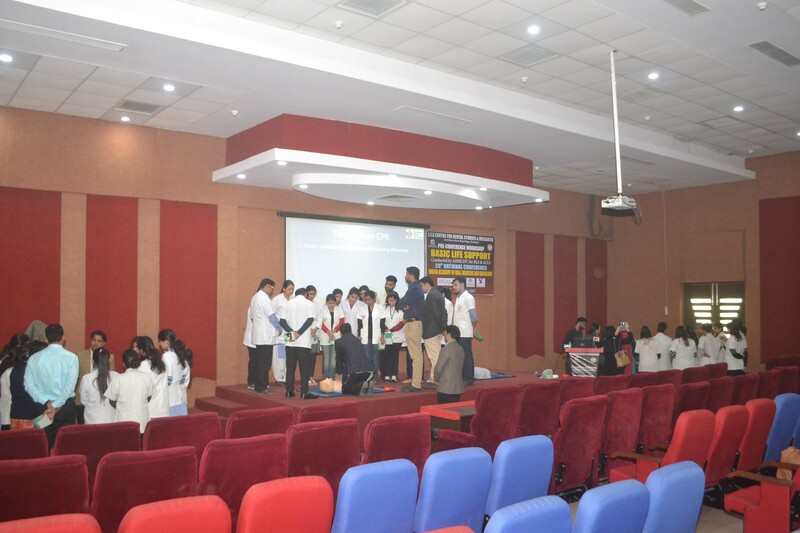 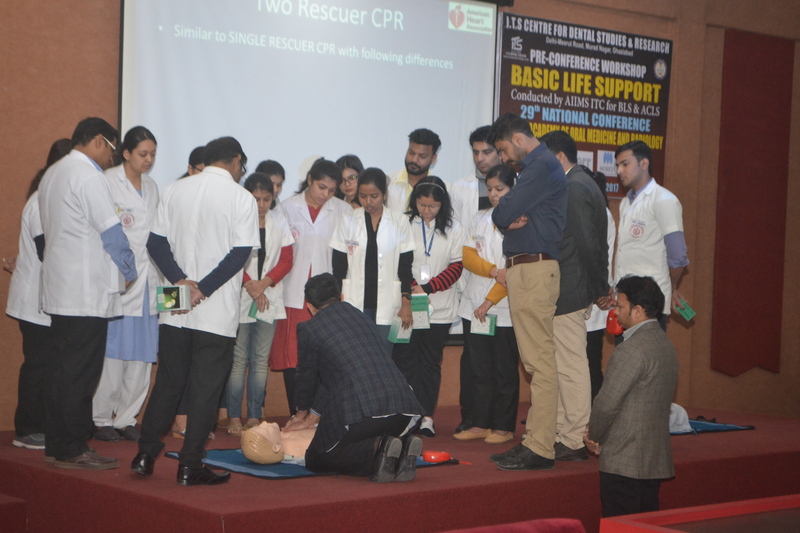 The event was attended by 87 registered delegates including Private Practitioners, Faculty members, Post Graduate Students and Interns. 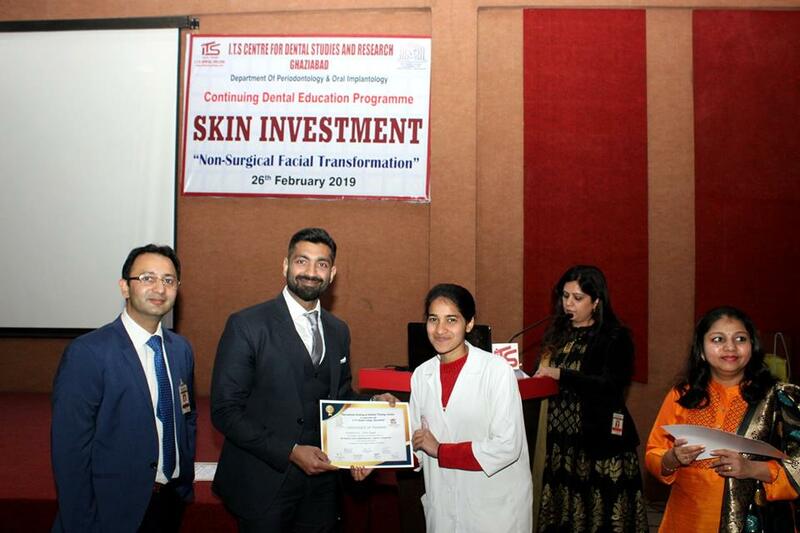 Guest Speaker for the Program was renowned speaker, Dr. Rajat Bhandari who lectured on the various advancements in the field of Facial Aesthetics including Botox, Dermal Fillers, Thread Lifts and Mesotherapy. 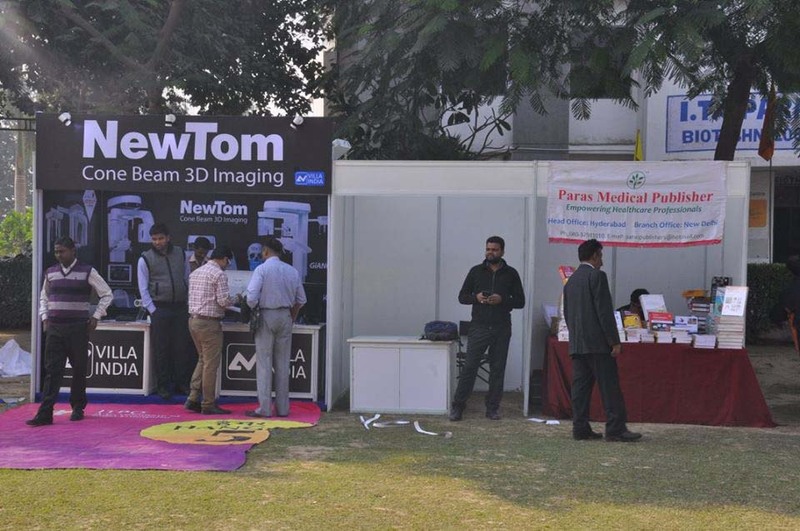 This scientific extravaganza was graced by Mr. B.K. 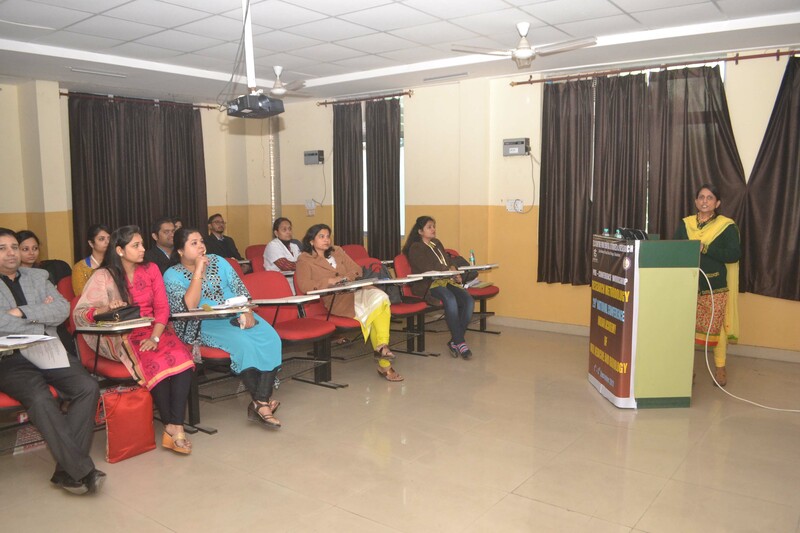 Arora (Secretary, I.T.S The Education Group) who addressed the gathering. 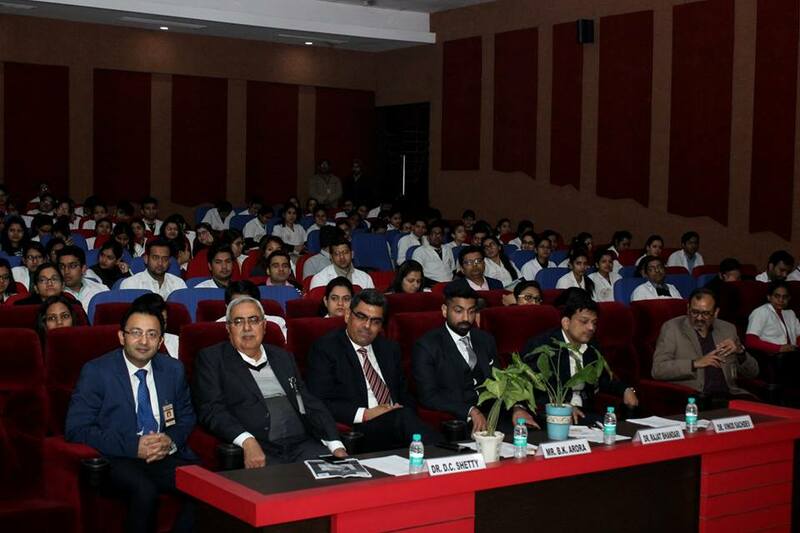 We thank our honorable Vice Chairman Mr Arpit Chadha for providing unconditional support for organizing this program. 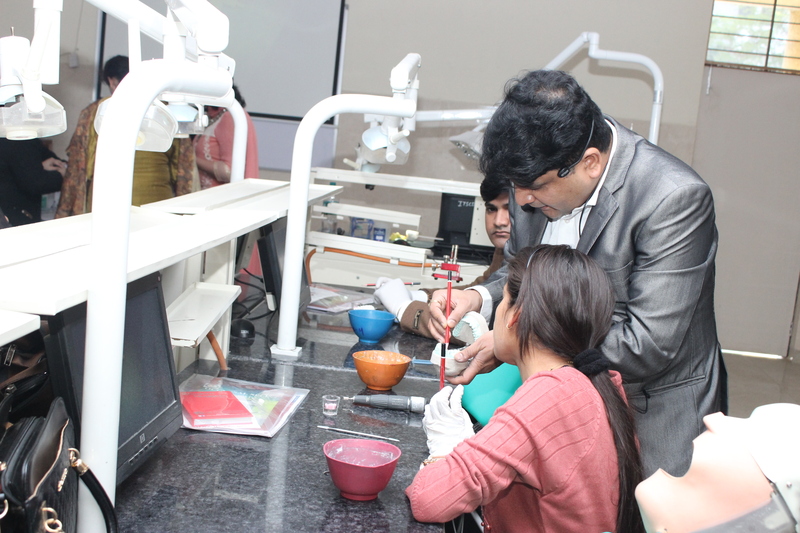 A continuing medical education program was organized by the Department of Pedodontics and Preventive Dentistry, I.T.S Dental College, Ghaziabad headed by Dr Vinod Sachdev, Director PG Studies, in collaboration with the Indian Pediatric Association, Ghaziabad on 31 January 2018. 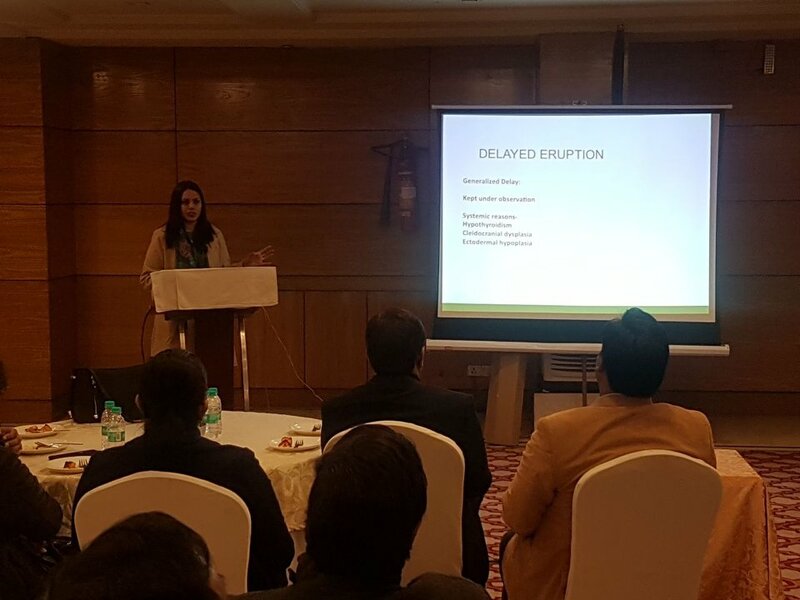 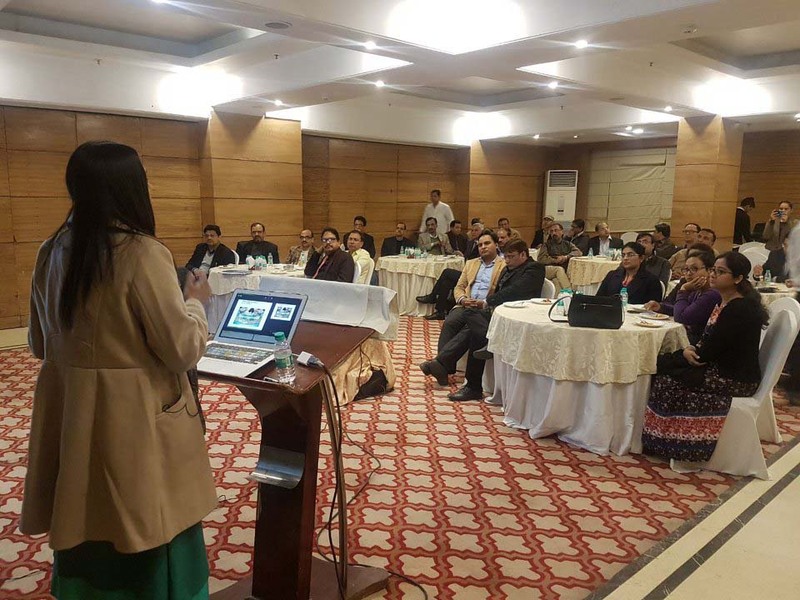 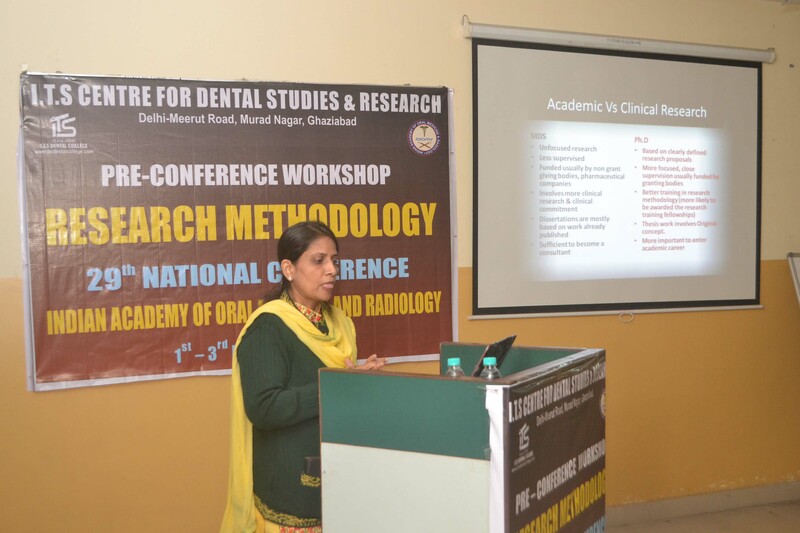 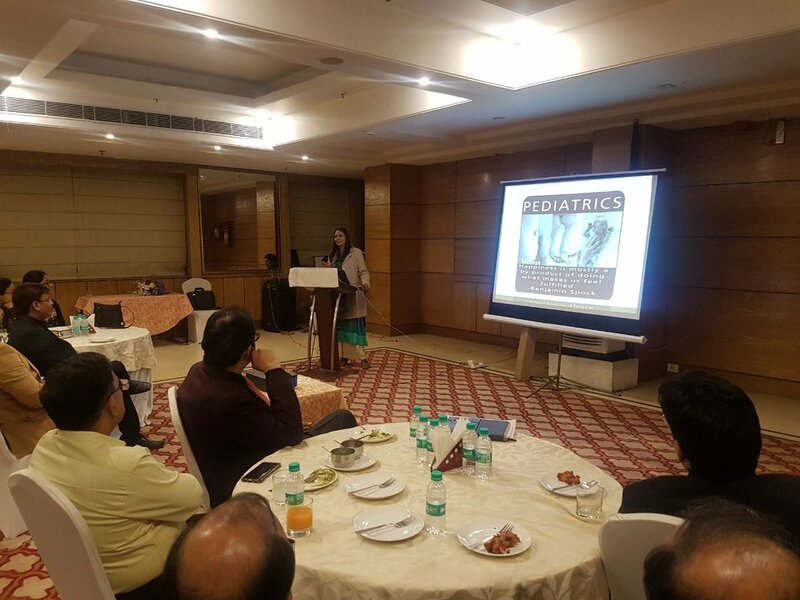 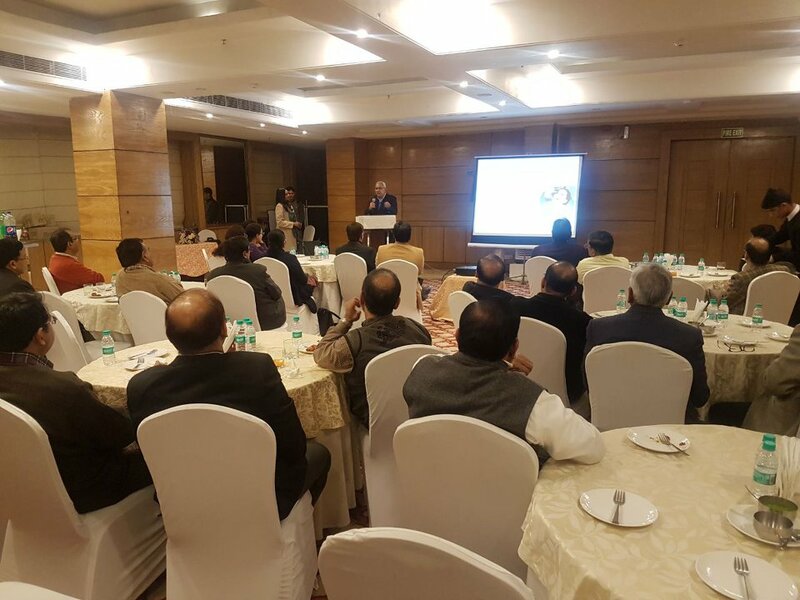 The talk was attended by over 50 Pediatricians and aimed at spreading awareness regarding the importance of Pediatric Dentistry to the practicing Pediatricians of Ghaziabad. 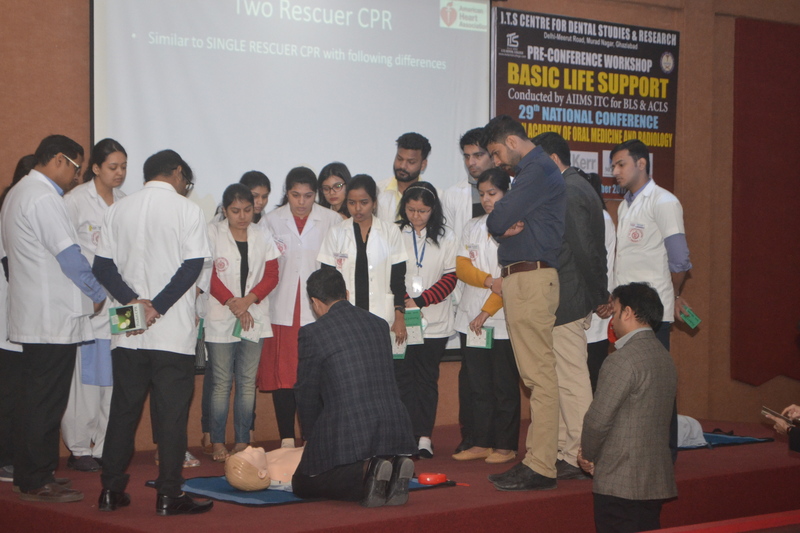 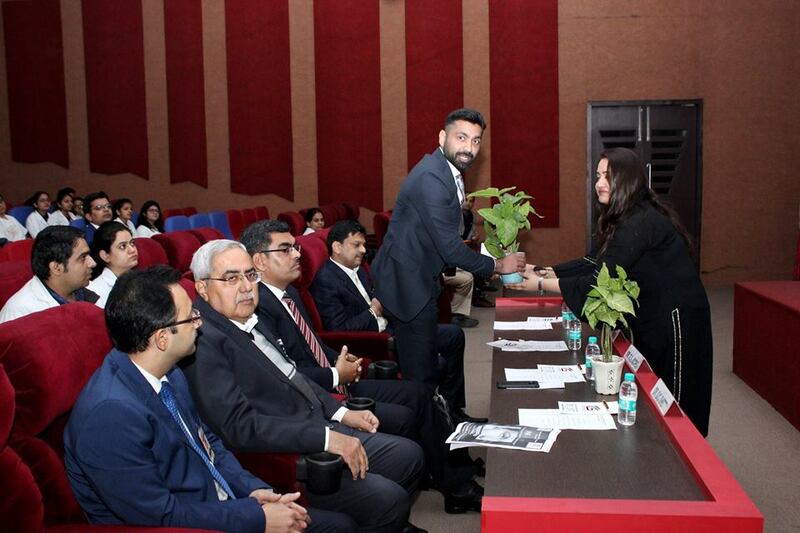 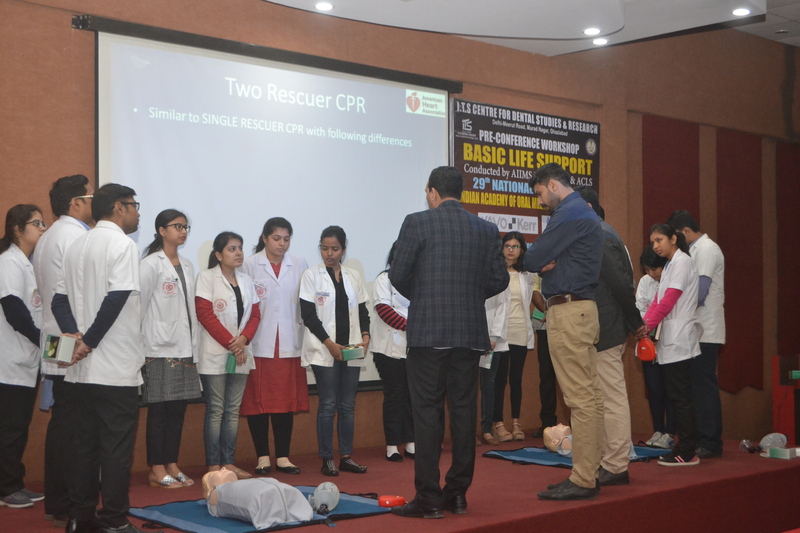 We would like to thank our Honorable Vice Chairman, Mr Arpit Chadha and Secretary, Mr BK Arora for their constant support in arranging and hosting this program. 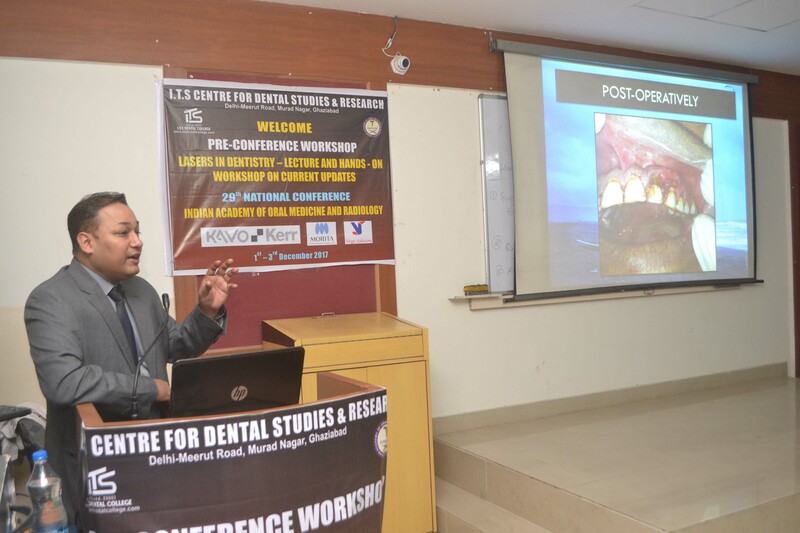 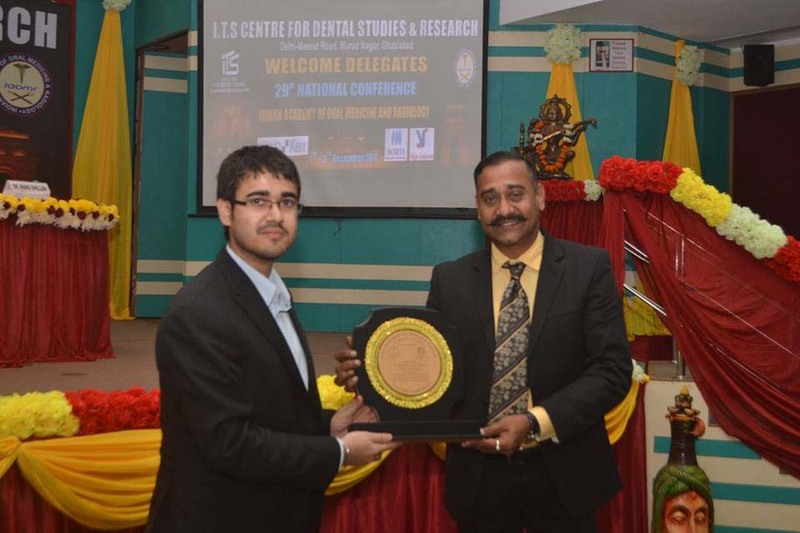 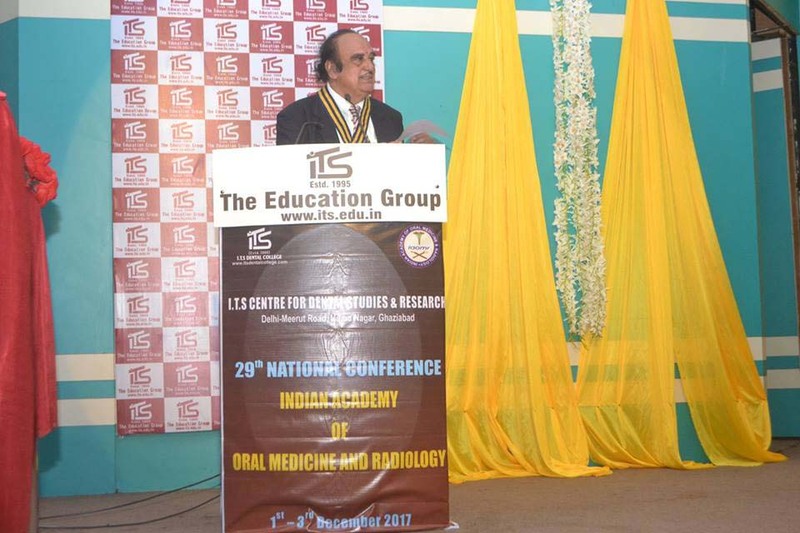 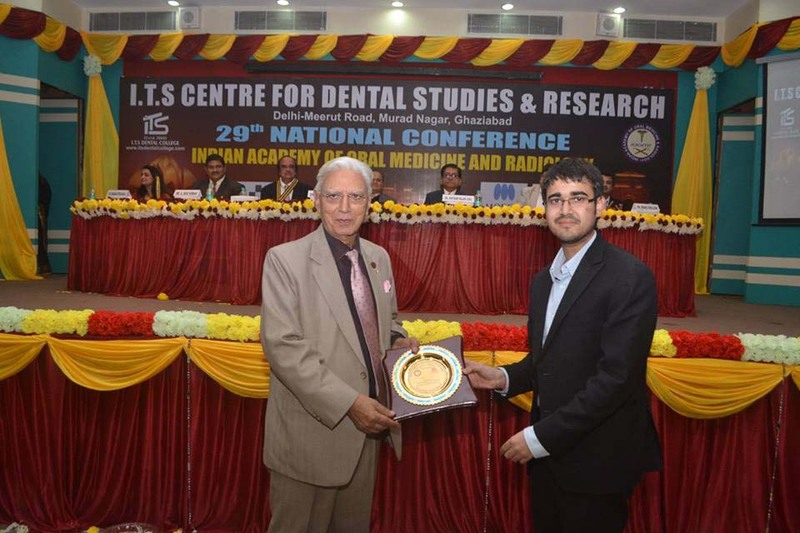 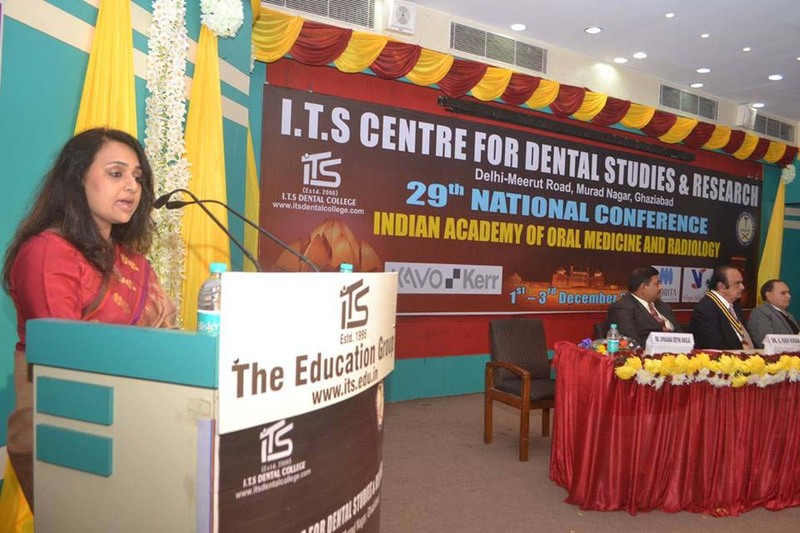 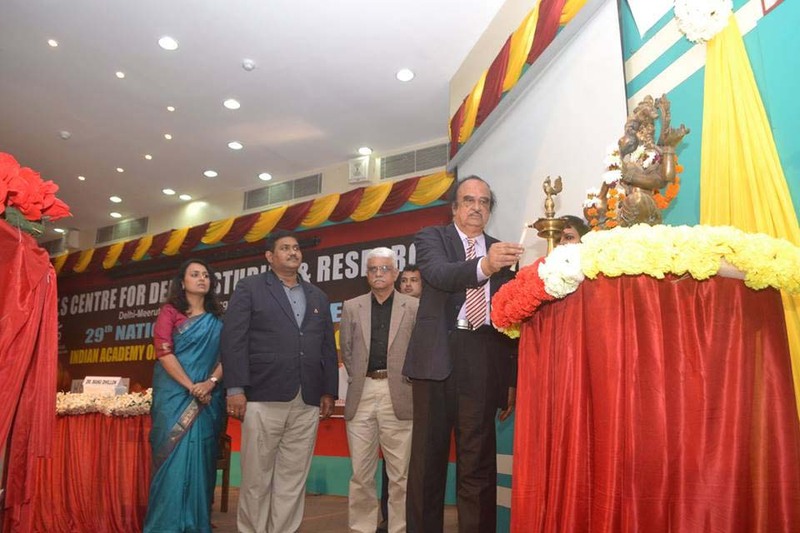 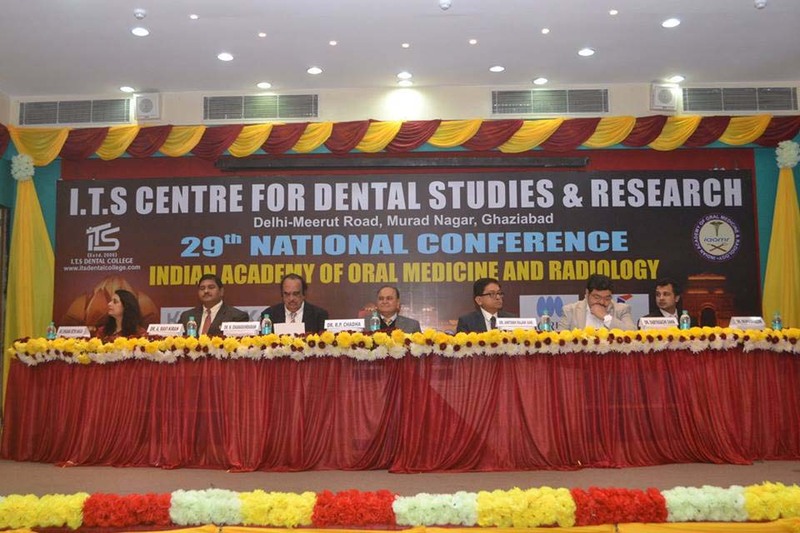 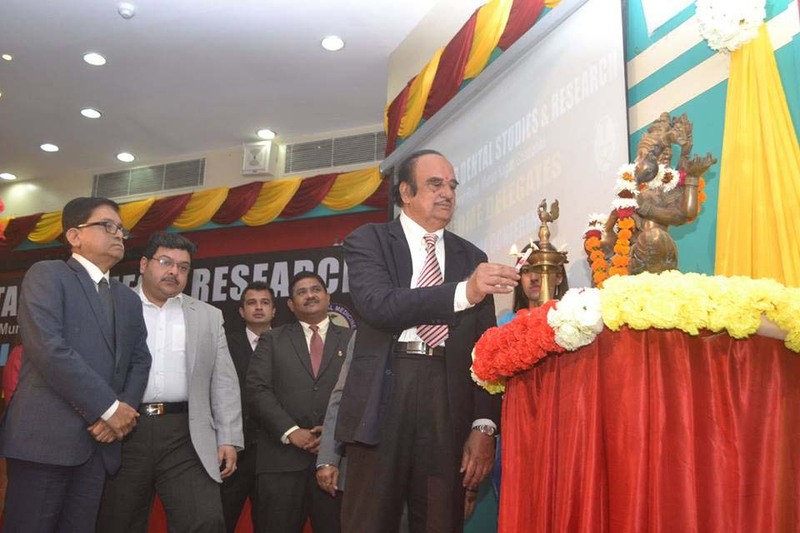 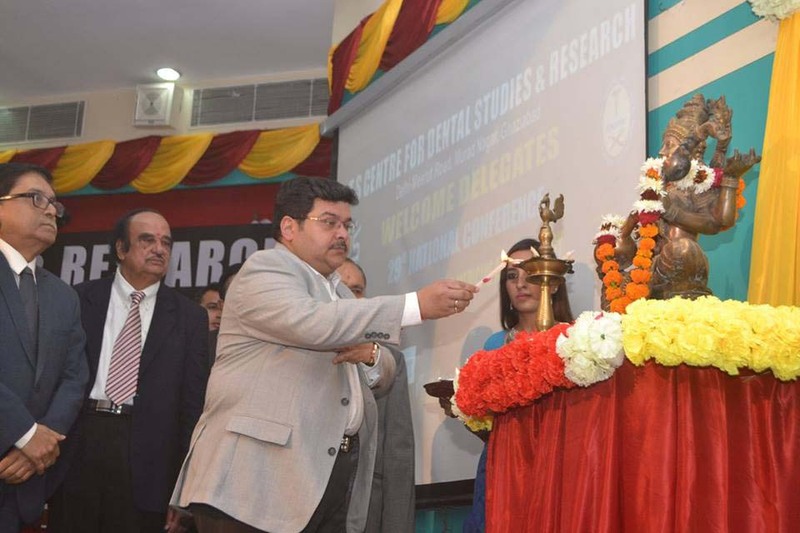 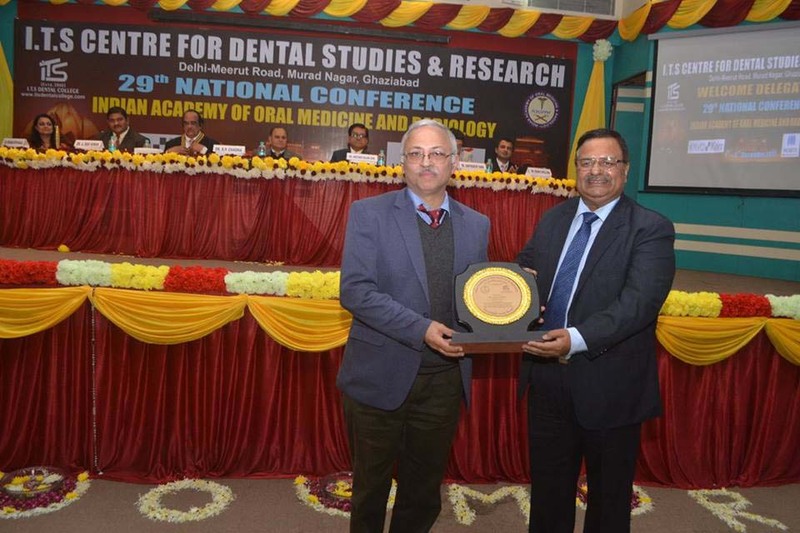 International speakers, Dr. Thomas List and Dr Amar Sholapurkar along with a galaxy of national luminaries in field of oral medicine heralded the second day of the conference. 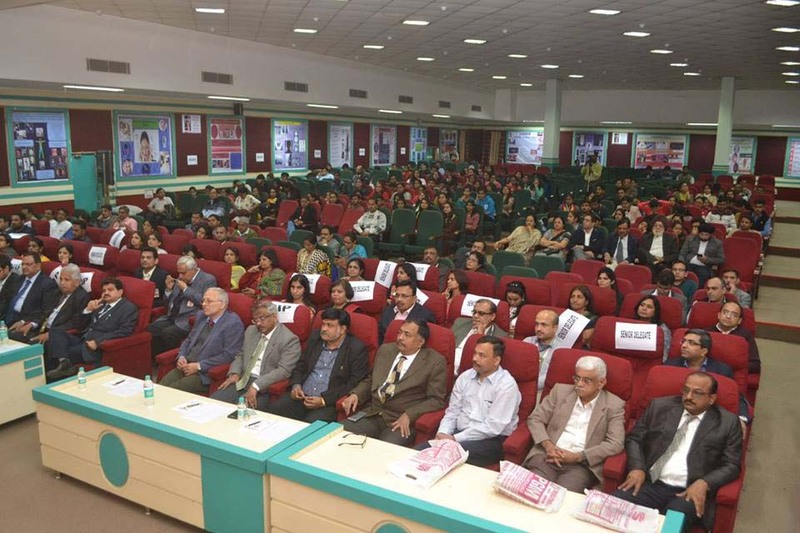 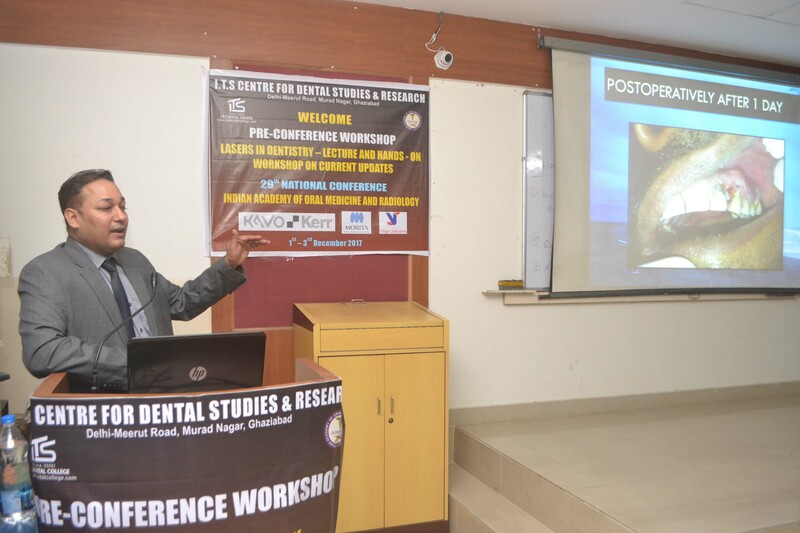 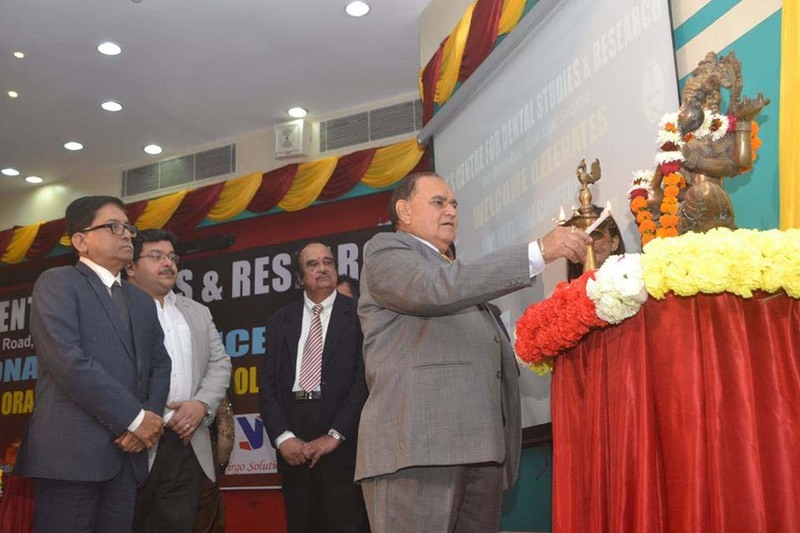 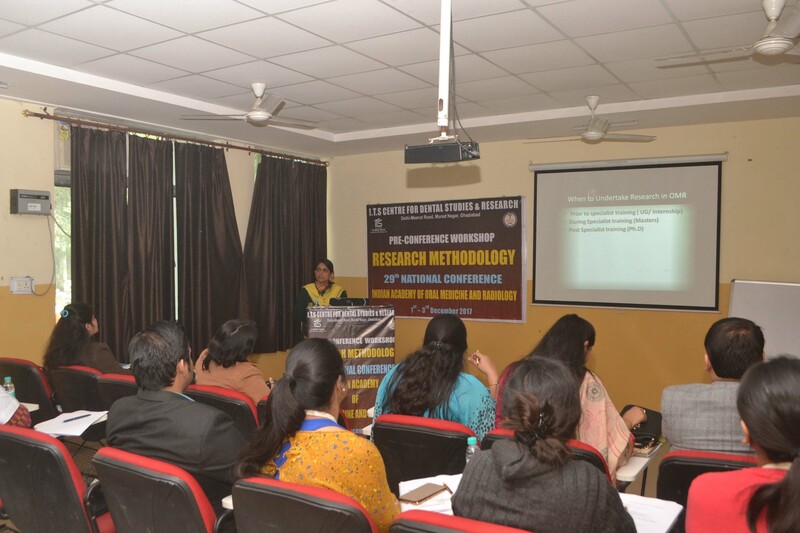 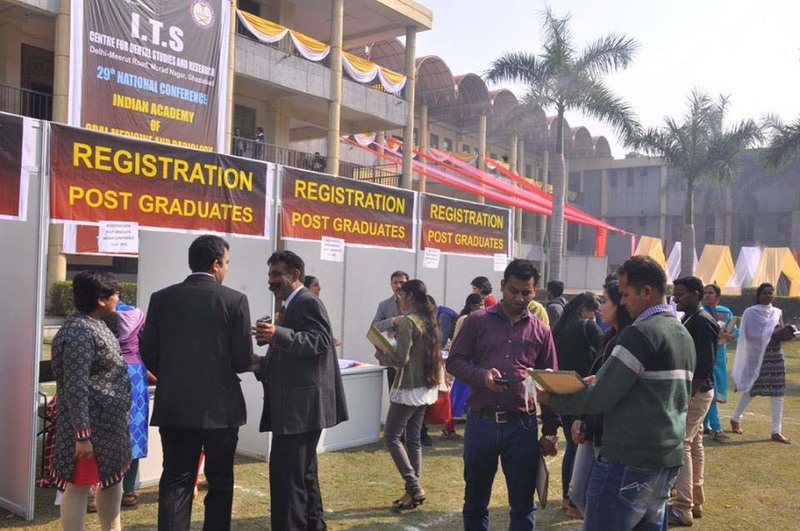 The day was studded with scientific presentations by postgraduates and faculty delegates. 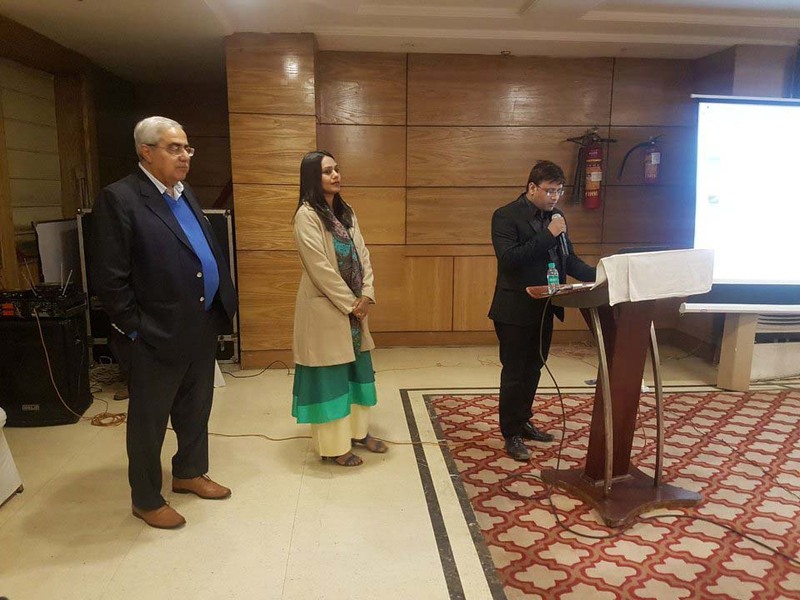 Dr Upasna Sethi Ahuja gave a perfect end to it with a very well organized gala banquet at Omega Greens in the Rajnagar extension, Ghaziabad. 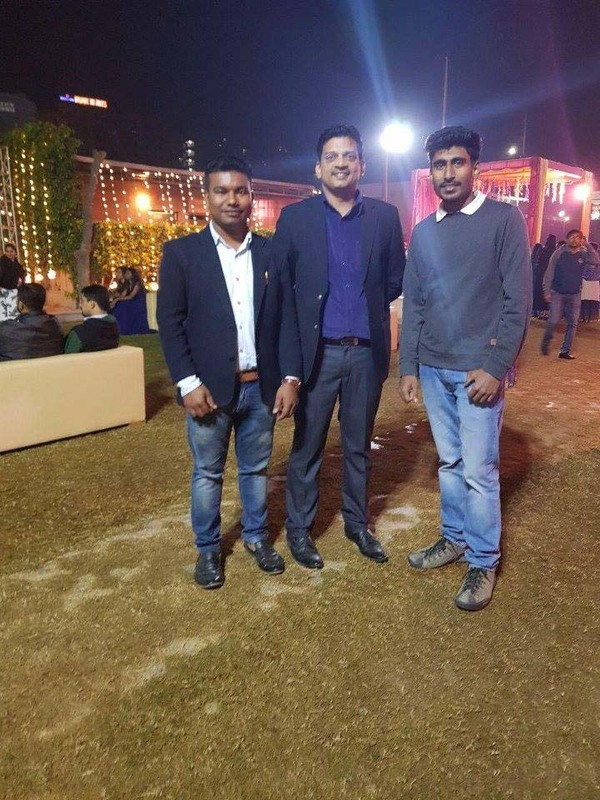 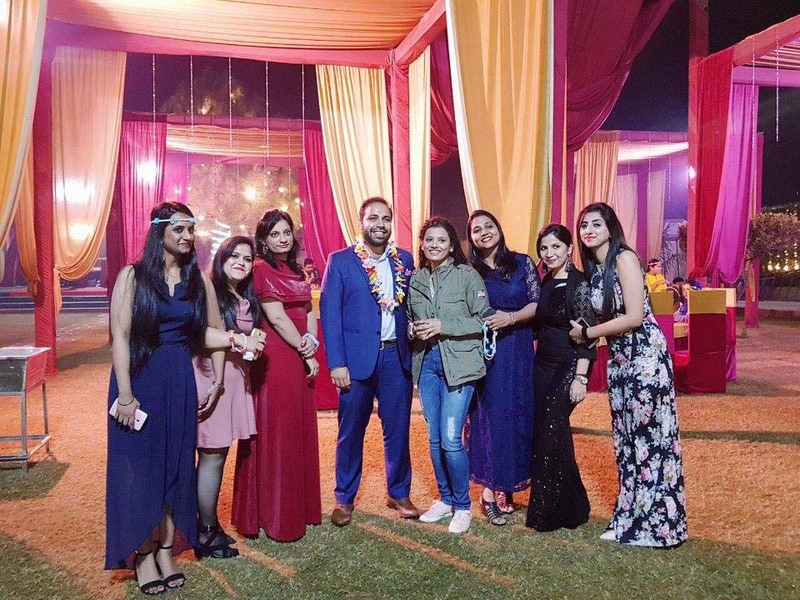 A perfect after party hosted by ITS-CDSR had all the colors of hospitality and entertainment which gave a chance for all the delegates to interact. 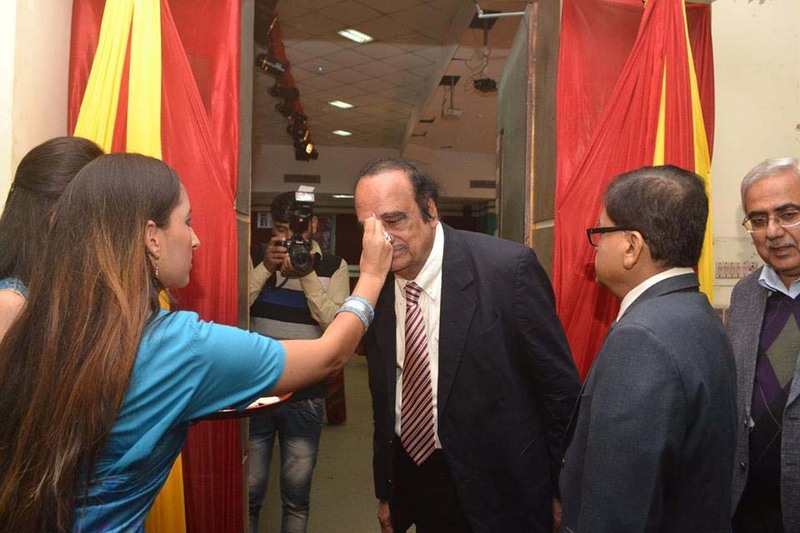 The events were embraced by our esteemed Vice Chairman, Mr Arpit Chadha. 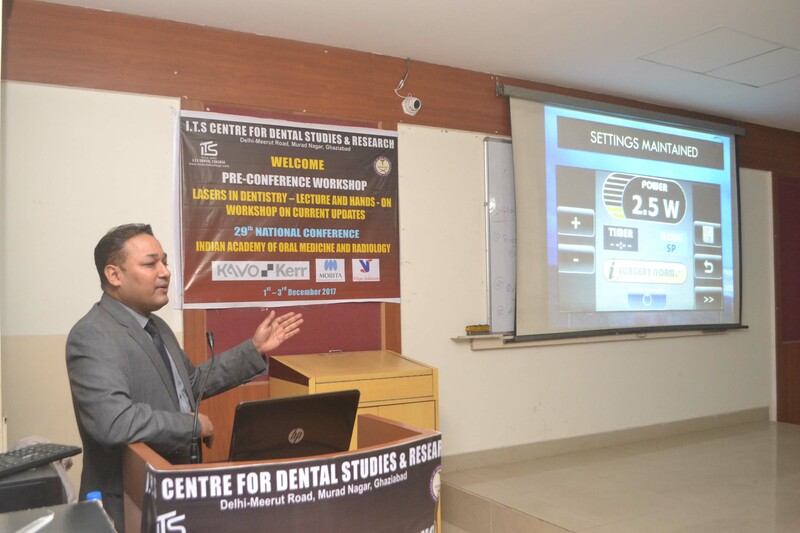 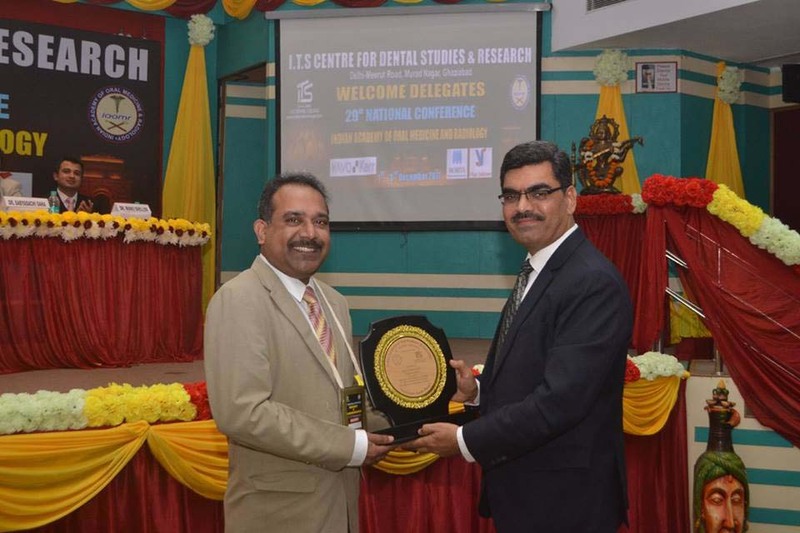 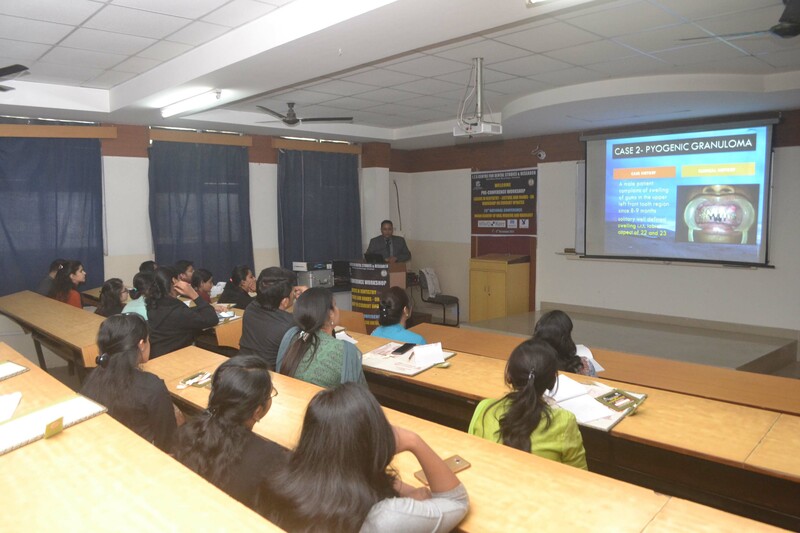 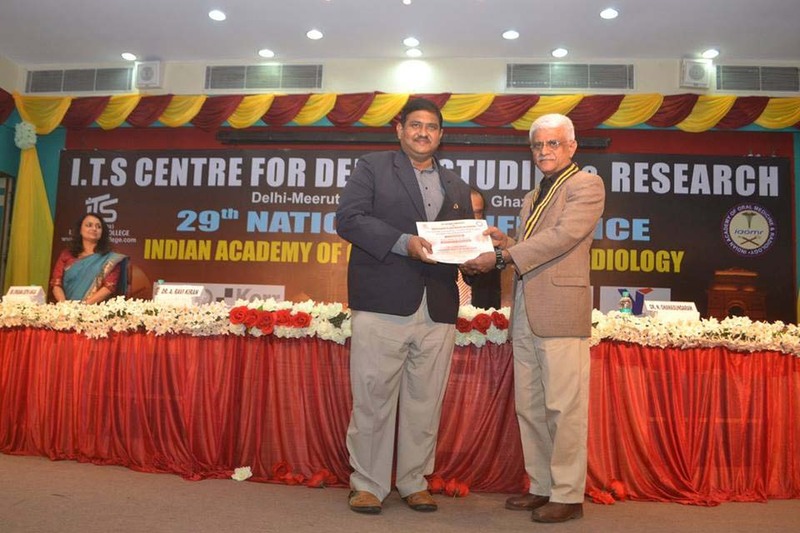 On the third and the last day of conference there were guest lectures by Dr. Shriram Rajan on MRI of oral and maxillofacial region and Dr. Babu Mathew shared his experience on tobacco control for past three decades. 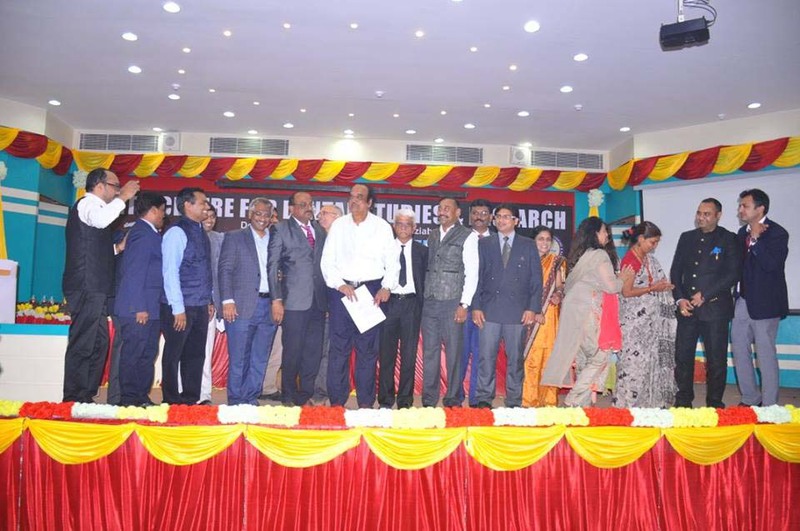 During the valedictory function, the organizing committee was felicitated and the newly elected President of IAOMR took oath. 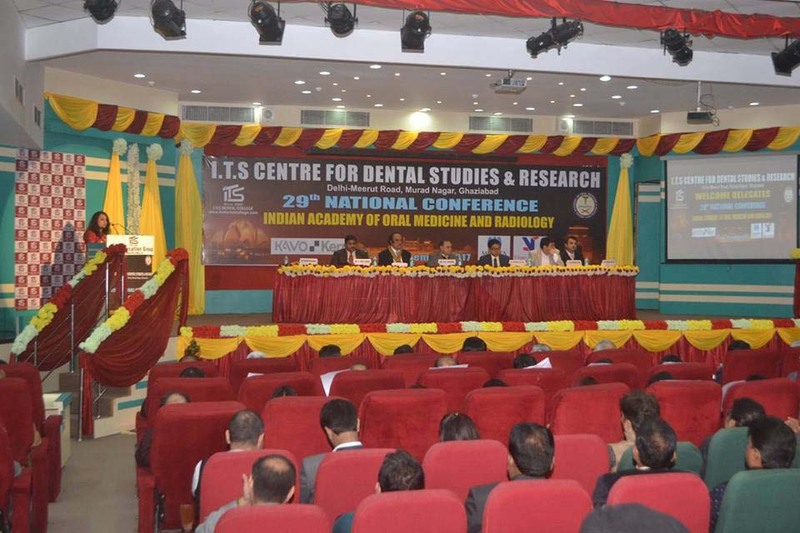 The President put on record the wonderful arrangements for the conference and acclaimed it to be one of the most fruitful and magnificent conferences. 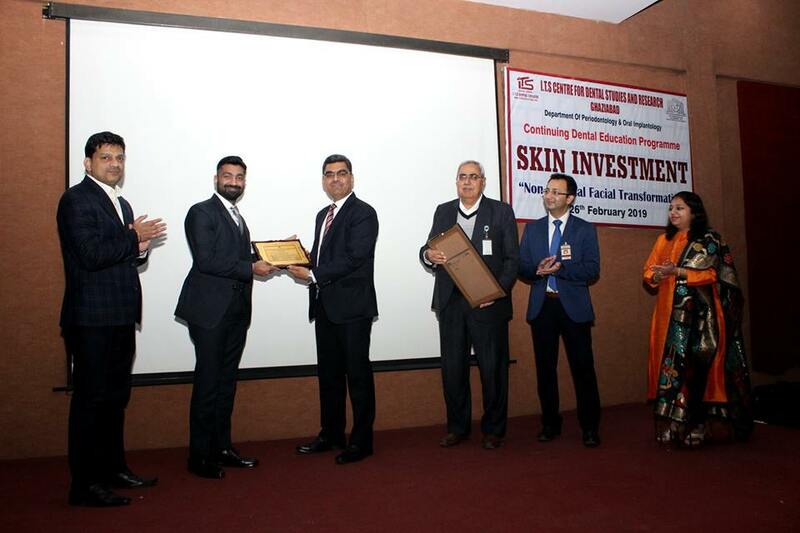 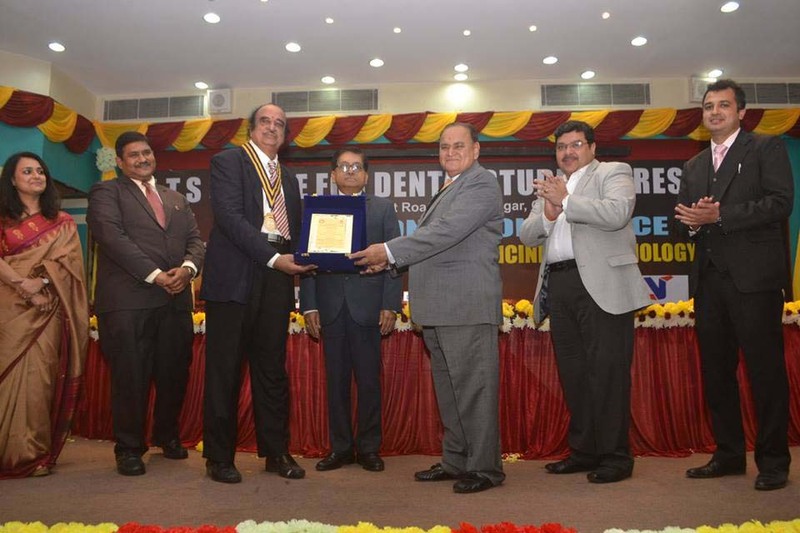 He congratulated our Vice Chairman, Mr. Arpit Chadha for his futuristic vision and relentless, untiring efforts. 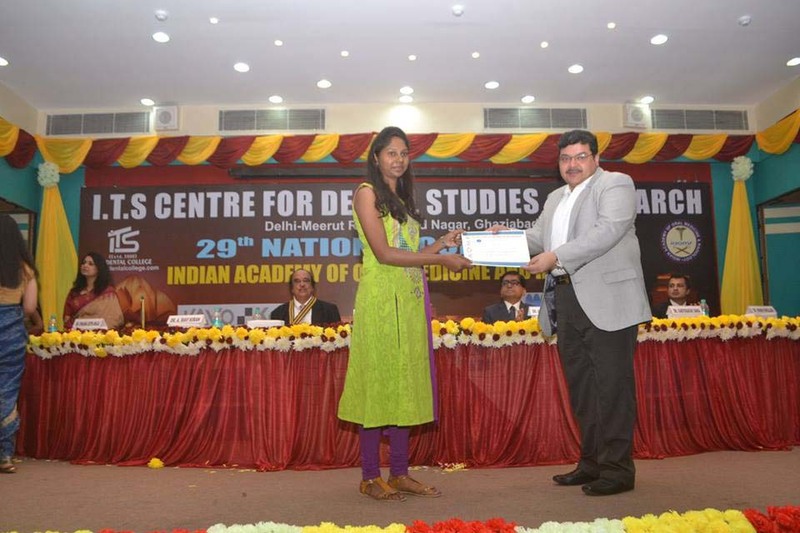 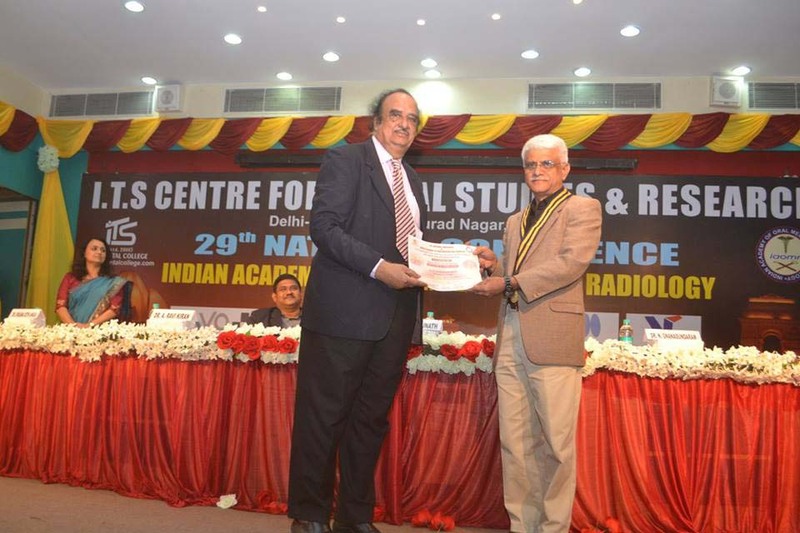 The winners of various scientific sessions were awarded mementoes and certificates of appreciation. 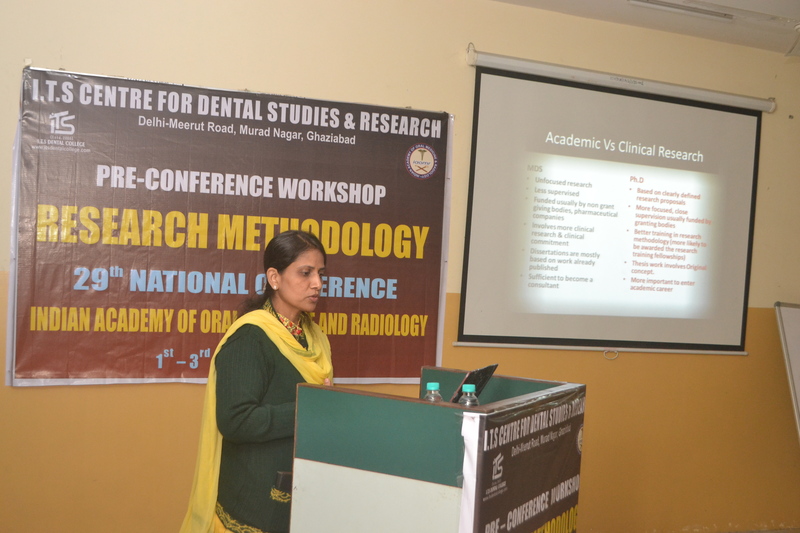 A marvelous gala banquet for 29th IAOMR National conference 2017 was hosted by the Department of Oral Medicine and Radiology, ITS dental college Ghaziabad Headed by Dr Upasana Sethi Ahuja. 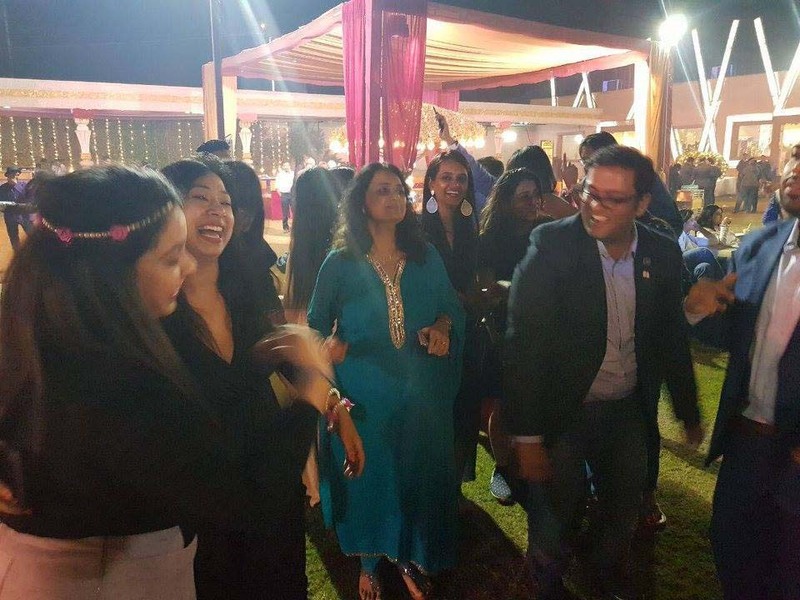 Well renowned DJ Kamya set the dancing mood in with her jazzy mixes. 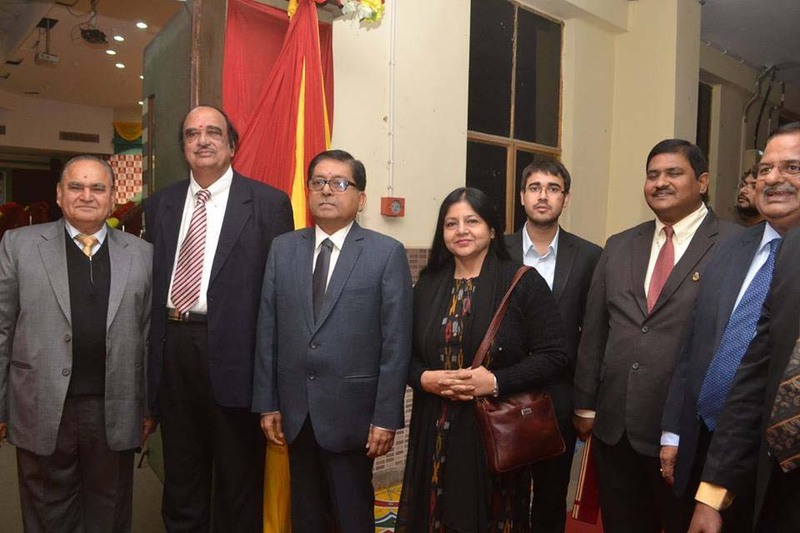 The occasion was graced by the presence of international and national delegates. 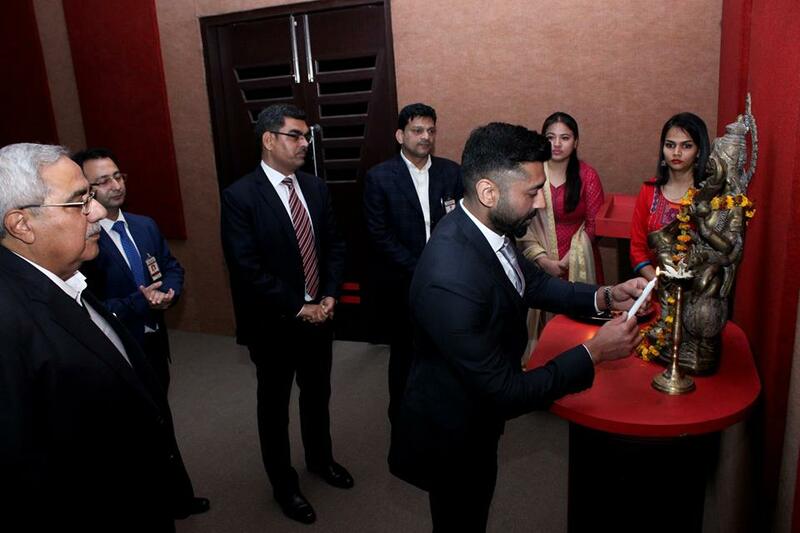 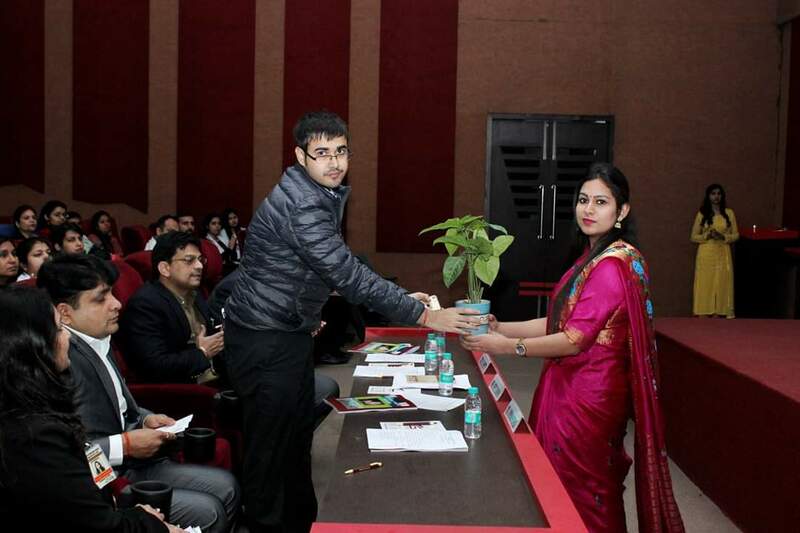 This perfectly organized event was planned under the guidance of our young and dynamic Vice Chairman, Mr Arpit Chadha.